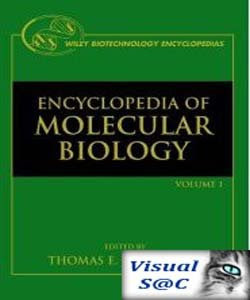 The Wiley Biotechnology Encyclopedias, composed of the Encyclopedia of Molecular Biology, the Encyclopedia of Bioprocess Technology: Fermentation, Biocatalysis, and Bioseparation, the Encyclopedia of Cell Technology, and the Encyclopedia of Ethical, Legal, and Policy Issues in Biotechnology, cover very broadly four major contemporary themes in biotechnology. The series comes at a fascinating time in that as we move into the twenty-first century, the discipline of biotechnology is undergoing striking paradigm changes. Indicar que el acceso DOWNLOAD "NO" es a Encyclopedia of Molecular Biology sino al Dermatologia Clínica ya referenciado en dia anterior. Seria grato disponer del acceso correcto para poder consultar el texto.